Have you seen a lot of websites now saying that it will work on mobile phones and tablets as well as on your desktop computer? Well if you haven't you will be surprised that a lot of businesses are going through and getting their website made in a way that it will work on every common platform available. This typically includes Apple products (IPhone, IPad, I whatever), Android Products and desktop/laptop computers right through to TV's that are internet capable. While this is great and it does show that people are becoming more mobile with accessing the internet it does come at a cost. 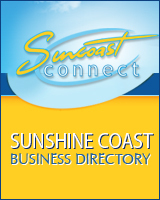 For a lot of businesses out there they have not catered for such improvements to their website. Of late I have been getting asked by business owners "Can I avoid this cost as I do not see much return from it?". The answer is 'yes you can if your website was built correctly.' Now this is where it becomes a bit of an issue for a lot of business owners. To this very day there is still no set industry standards or certifications of which website developers are to adhere to. Infact there is almost zero rules in the whole industry. Does this mean that everyone is in the same boat? Does this mean that every website developer out there will sting you when you get your website built? No, it doesn't mean that this is the case. It is simply a fact that there is just as many who will sting you than those who wont. That aside the good news is that if your website is say 3-4 years old chances are that it will scale nicely on tablets and on some mobile devices. A great example of this is one of my personal sites which I built some 3 years ago after it performing really really well. I then decided after migrating all 300 articles on the site and rebuilding it I would just leave the site alone and let it perform on its own merit. Surprisingly enough after some 3 years I thought I better see if it does function / even render well on other devices. Sure enough it scaled perfectly to my android phone and my android tablet. The few conditions that applied to it loading perfectly was dimension based settings. The biggest issue is the maximum width allowed for various devices. Typically (not always the case) if the site's main body is no wider than 980px it will scale just nicely on different platforms. If you have decided though that scaling is not the best option for your site visitors then you should consider getting your website rebuilt to be responsive. 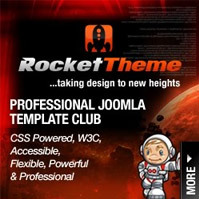 There is some commercially available templates from template clubs on the internet for various content management systems like Joomla, WordPress and Drupal. These are said to be responsive templates and work on all platforms. From the few that I have tried they all appear to work quite well. There are a mixed bag of responsive templates though. Some claimed to be fully responsive yet they still require a stack of small tweaks and adjustments to make that claim true. Others required you to create multiple versions of images you have used on the site. There was a handful however that were true to their claims and required you just to populate the site, change a few colours as you need to and most importantly only one set of images. The truth is that responsive design is a great option if you can justify the cost. The reason why you need to justify the cost is because it does take longer to make the site fully responsive. To give you an indication of time a rule of thumb would be around 2-3 times the time it would normally take to build one template. This means it could take anywhere up to 12 hours or longer to complete. I have seen developers take up to 40 hours just to do templating for one platform. Experienced developers of course would not normally take that long but it can be very time consuming. Will you get more brownie points from your site visitors for having a responsive design? Probably not to many. Would I do it on a personal site I own? Sure, why not if I saw the value. Generally speaking I would just let it scale at this stage. There is a lot of hype around responsive design and to be honest while it has merit I do not personally think it will be something people will ask for for much longer. I believe it will end up being a standard that developers will natively adopt and it will be expected. So do not let the hype necessarily demand you do it, make the choice when you are good and ready or more importantly when your site needs to be rebuilt.